Dr Khaled Kamaraldin, who knew Mr Arwani for 15 years, echoed the sentiment, saying; “This was a state kill. Assad was behind it, and if not Assad one of his cronies. “He was very active against the Assad regime. But he was a conciliator, he was not violent. Other members of the community speculated that he may have been killed for criticizing the Islamic State. He was forced to flee Syria after being sentenced to death by Assad for taking photos during the aftermath of the 1982 Hama massacre. His family described him as “the most peaceful man you could ever wish to meet” in a statement posted on social media. They said they were “in shock,” adding “we have not slept and our minds are a blur as to what happened and why. The statement added: “He just loved to help people. He did not care what your background, race or status was. He did not care if you were rich or poor. He just wanted to help people in need. “He was an old fashioned man who thought love and understanding could cure all of the world's ills. He was always smiling and joking with everyone he met. “The investigation remains in its very early stages and officers remain open-minded about the motive,” police said. One source, an expert on the functions of the counter-terror unit, told The Guardian they would have been brought in to establish whether the murder had any links to state-sponsored terrorism or terror groups working in the UK or abroad. However, Chris Doyle, director for the Council for British Arab Understanding, said the killing was unlikely to have been a political assassination organized by pro-Assad forces. 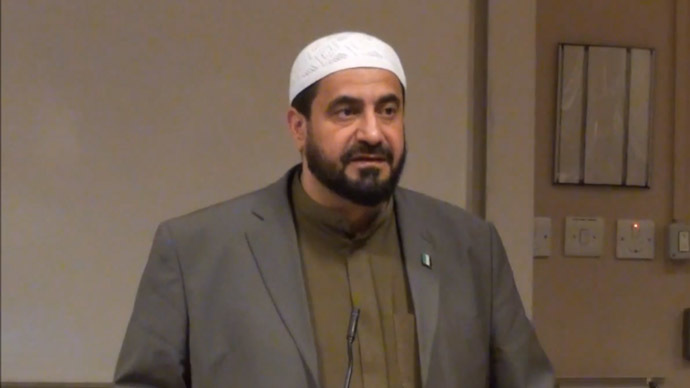 He said Arwani was not a key figure in the Syrian opposition movement in the UK and was unlikely to have been known to the regime.